25 April - 25 September, (accommodation from 1 June). 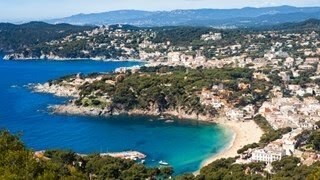 Lloret Blau can be found at the heart of the popular resort of Lloret de Mar, a ten minute walk from a fine sandy beach. There are over 200 pitches here, grassy with varying degrees of shade. All have electrical connections (5 or 10A). A ‘plot plus’ option is available (pitch with electricity, water and drainage). Most amenities are in the same general area, including a bar with terrace overlooking the pool, restaurant (with takeaway food), a well stocked shop and tourist information and an attractive outdoor swimming pool with a broad grassy sun terrace. There is a separate picnic area with benches nearer the entrance to the site. 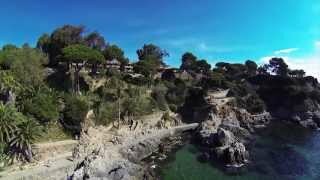 Although well known as one of the Costa Brava’s premier seaside resorts, Lloret has a history dating back to Roman times, and still retains traces of its past as a simple fishing village. However, for most the appeal here is the region’s superb blue flag beaches and vibrant nightlife. It is also an important base for scuba diving and many other water sports are also on offer. Modern sanitary facilities. Washing machines. Swimming pool (25/4-25/9). 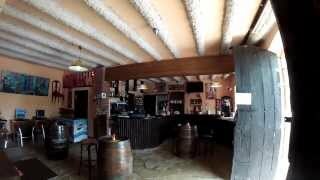 Shop, bar/restaurant, takeaway food (all 20/6-4/9). Motorhome service point (large units accepted. Children’s playground. Bicycle hire. Activity and entertainment programme. Communal barbecue. WiFi throughout (charged). Approaching from the north (Girona) take the southbound AP7 towards Barcelona and leave at exit no. 9. Follow signs to Lloret de Mar and upon arrival in the town the site is clearly signposted to the right.